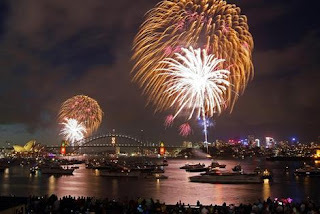 May this year bring lots of laughter, prosperity and good health your way. P.S- We just returned from a fun and adventurous holiday in Egypt... we will be updating our blog shortly with pictures from our trip and stories from our travel journal :) Keep an eye out for that! Tupperware, towels, containers all over the place... I feel like turning the coffee table upside down ... it would make a nice boat... just in case... We are sick and tired of our leaky flat!! Just not my day today... and we want this drip drip... tip tip... to stop!!!! An unusual victim of WAR! I was so worried for this pigeon after I saw it at the Imperial War Museum in London... poor chap! 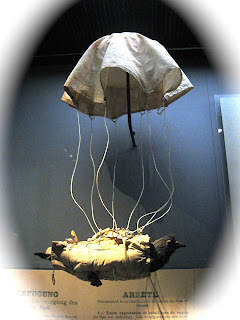 During WWII, pigeons were used as messengers, and they were strapped up with a mini parachute and dropped at specific spots into new territory/enemy lines/behind the or in front of the line (who knows)... they were dropped from the air~ a plane (with a secret message strapped to them). After the message was received and a reply was written to be delivered back, the pigeon was freed of it's chute and let free to fly back home! All good right.... Nooooooo!! Now imagine the next time the pigeon is flying, it might think, "hey! wait a minute the other day I was successfully able to fly and float without flapping my wings, let me try it again"... only this time the poor chap would have gone down in a tail spin... this must have really messed up the pigeons confidence and ability to lead a normal pigeon life! More reasons why war's are bad, and we should not support them! Egyptian Embassy we love you! This post is going to be surprisingly short... what a day at the Egyptian embassy in comparison to the Indian embassy experience a few weeks ago... I entered the Egyptian embassy with our passports/applications at 11.40 am and was out at 11.41 am... I am not even sure what happened... it was quick... I don't even remember much, I was in shock and happy :) (I think) I was able to submit both our applications and deposit the fees, get a token in return to pick up our passports later next week... all under a minute... did my watch stop... did time stop!?... did I dream this up... all those prayers and dreams for a smooth experience at an embassy, any embassy, finally paid off ;) WOW!! I just hope posting this too soon on my blog won't jinx it (fingers crossed please, everyone... I think we need it regardless... especially when it comes to visas and embassies). The venue was Gulab and Gulabo's flat, and it was disguised as a friday night dinner with the four of us after everyone got off work (wink wink...). Ginny Bhaboo took charge to bake the cake and Gulabo took charge to create a slideshow for the boys with old and new family pictures! The plan was set and Bhaboo and Gulabo started work on their exciting projects... with unexpected hurdles along the way... Bhaboo had to bake three cakes to get it as she desired, and Gulabo had to create the slideshow in less than an hour. The boys reached home after work, and we surprised them with the cake and the slideshow... the candles were blown by Gulabo & Anthony, and the cake was cut by Mrs Anthony and Gulab Singh :) followed by food and lots of interesting childhood stories with mom!! We ate a lot, we talked a lot and we giggled a lot... perfect recipe for a wonderful evening... Mom, wish you were here with us, and we all miss you very much and love you loads! 1st Anniversary Celebrations ~ 27th Oct 2008!! We just learnt that we can link our YouTube account to our blog, so we are sharing some old videos from there :) We are going to flood this page with home videos soon... so watch out, for some laughs!! This one was a slide-show created for the brides (i.e. Meeeeeeeee) sangeet party!! :) And, yes, that is mom and dad singing (coaxed by Meeee) my favorite childhood songs/rhymes in the beginning.